Clay Damon played for UW in the 1980s. 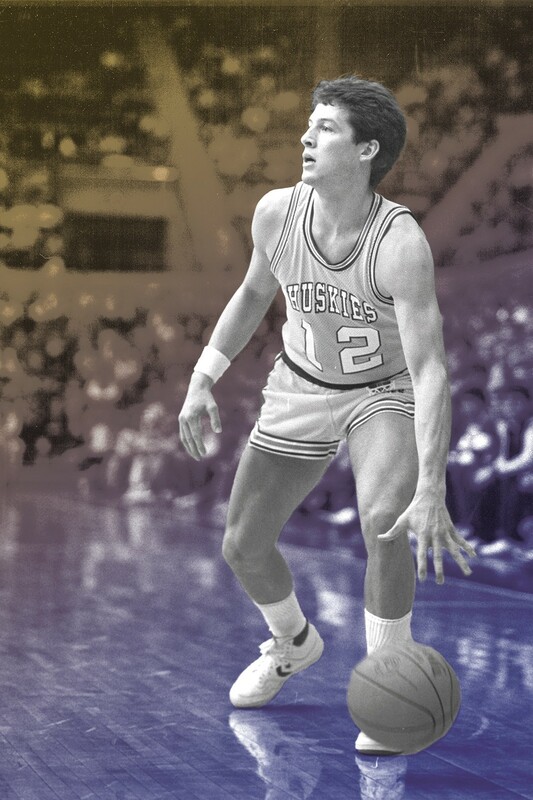 Seeing Zag-like student sections crowding UW's Hec Ed Pavilion these past months has brought back lots of memories for Spokane's Clay Damon, who played on Husky teams that made back-to-back NCAA Tournament appearances in 1984 and '85. "We had a great, young team then, and we just developed a great environment," recalls Damon, now an orthodontist in Spokane. "Getting to play on national TV against Reggie Miller [UCLA] and A.C. Green [Oregon State] was a big deal." That Husky team featured future NBA star Detlef Schrempf, from Germany, along with Damon, who was recruited by nearly every team in the PAC-10 after a standout career at Lewis and Clark High School. "I narrowed it down to UW for a lot of reasons, but [coach] Marv Harshman was a big part of that." Harshman, who passed away in 2013, is a Northwest coaching legend: After serving in the Navy in World War II, he led the Pacific Lutheran basketball team for 13 seasons and Washington State for another 13. Then he put in 14 at UW, with his final season coming in Damon's sophomore year. The floor the Huskies play on today is Marv Harshman Court. "He was a four-sport athlete in college," says Damon, "and he was very tough. But off the court, he was like a father. I was disappointed when he hung it up; it wasn't the same after that." Perhaps Harshman's greatest moment came 35 years ago this month, on March 18, 1984, when his young team took down mighty Duke in the NCAA tournament with a spot in the Sweet 16 on the line. The game was played at Friel Court in Pullman, named for the coach Harshman replaced in 1958. A Husky fan vote in 2002 named the game one of the three biggest wins in the first century of Husky basketball. "In a sense, it was on our home court," says Damon. "Still, it was a battle." Down by eight points at halftime, the Huskies rallied behind Schrempf, who wound up with 30 points. That Duke team was stacked with six future NBA draft picks, including Johnny Dawkins, Mark Alarie and Jay Bilas, now of ESPN. At the end of the game, down 80-78, Duke had a chance. The Huskies needed a stop. On the inbounds, Damon recalls being on the far side covering Dawkins, one of the nation's best players. Schrempf was at the top of the key when some Duke motion pulled him away, and "kind of like in slow motion, I just see all that space opening up," recalls Damon. "They throw an alley-oop pass over the top [to Dawkins]. I just walled him off as best I could, and he jumped — I mean, he really got up. It goes off his hand, and we win." A few years back, at a Coaches vs. Cancer event in Spokane, he met Bilas again. "I didn't even know if he'd remember me, but he says, 'Clay Damon, I'm sorry, but that was a foul.' All those years later, it still was bothering him. I just said, 'I beg to differ' and we had a laugh." The Huskies lost in the Sweet 16 to red-hot Dayton the following week. Two years later, that Duke team, with most of the same roster, came within three points of a national championship, falling to Louisville. And the Duke dynasty was up and running. Damon is impressed with this year's Huskies and proud to pull for them. "I love how they play with passion and how they've bought into the system. [Coach] Mike Hopkins, I think he's kind of like [UW football coach Chris] Peterson. They both have a great system." The 9-seeded Washington Huskies play No. 8-seed Utah State Friday at 3:50 pm. The game will be televised on TNT. The original print version of this article was headlined "Déjà Vu in Purple and Gold"